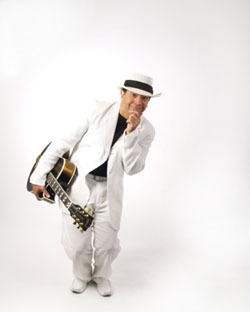 Luis Mario Ochoa & Friends - Live In Concert! Amanda Martinez will open the show with a short set at 8:30pm sharp. "a fresh, up-tempo and high caliber Latin Jazz release that provides a well conceived format for (Ochoa's) fine guitar work". CD Release for "Calling for Rain"
Call 416.363.0179 for dinner reservations! $10 plus tax FRI. $12 plus tax SAT. Lori Cullen releases a fresh new album, Calling for Rain, at the Montreal Bistro and has already received critical raves from the industry and media. "Lori Cullen has a wonderfully angelic voice that sheds new light on the most unexpected songs"
OK, so you've partied wildly at the Cimarron CD release and then had a stellar evening of song from Lori Cullen at The Montreal Bistro...so now what? How about something completely different? Come see Canadian music Icon, Nash The Slash at The Underground in The Drake Hotel. He will be interviewed by David Shore and then a group of top notch comedians will do sketches based on true stories from his life. 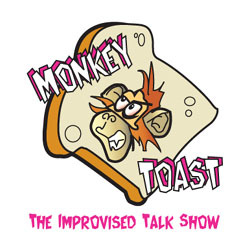 This is by far the most unusual guest Monkey Toast have ever had. Expect some strange stories and big laughs. PWYC. "Babes In Jazzland" is a band that features some of Canada's greatest jazz talents...who just happen to be female and under the age of 30...including Ashley Wey, Lauren Falls, Geneviève, Sophia Perlman, Marieve Herington Eliana Cuevas , Janelle Monique and Elizabeth Shepherd. More guests TBA. "This was my girlfriends idea...she has been blown away over the past few years with all these talented girls coming out of jazz institutions and I figured it's time to point a finger...the title might not be "politically correct" but the fact is these young women are destined to follow in the footsteps of Laila Biali, Jane Bunnett and Diana Krall." Chances are this will be sold out soon and you won't be able to get tix at the door. Call now! Jaymz Bee presents the latest and greatest from The Royal Jelly Orchestra. A dozen songs featuring nine outstanding voclalists and some killer arrangements of classic pop tunes like "Fly Like An Eagle", "Walking On The Moon", "Paint It Black" and "50 Ways To Leave Your Lover". This CD will be released in March...more news to follow!